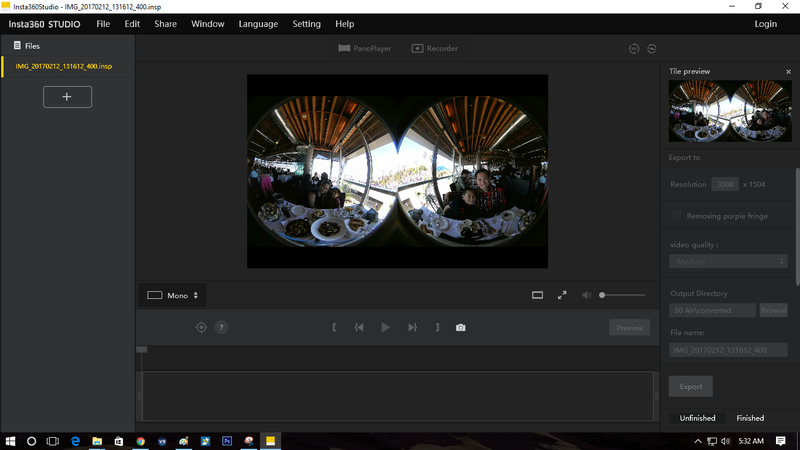 There’s a pretty useful update to the Insta360 Air app and to the Insta360 Studio desktop software. 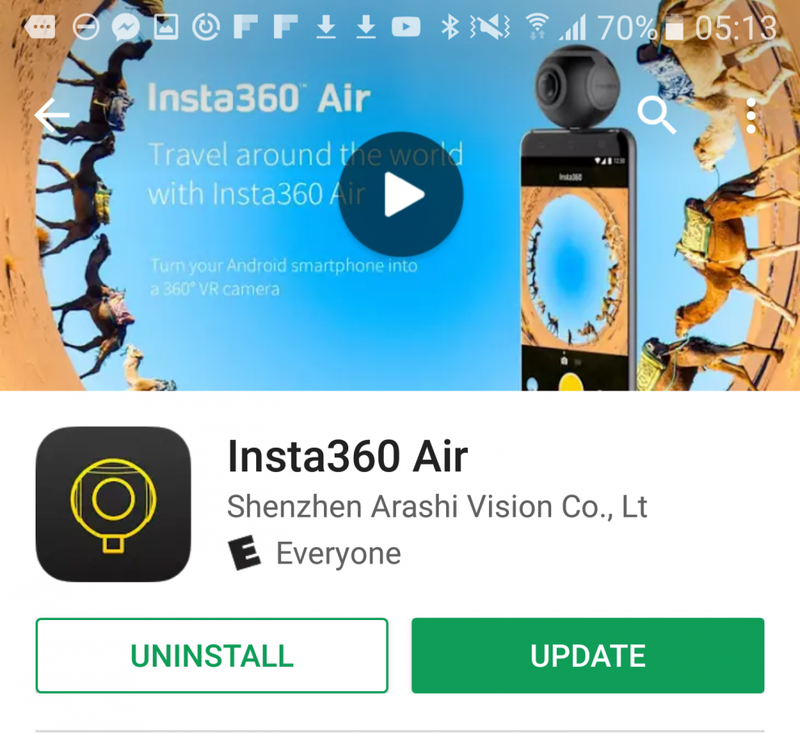 The Insta360 Air app update 2.7.1 enables custom watermarks and allows you to save photos and videos to a Micro SD card (if your phone has removable Micro SD storage). 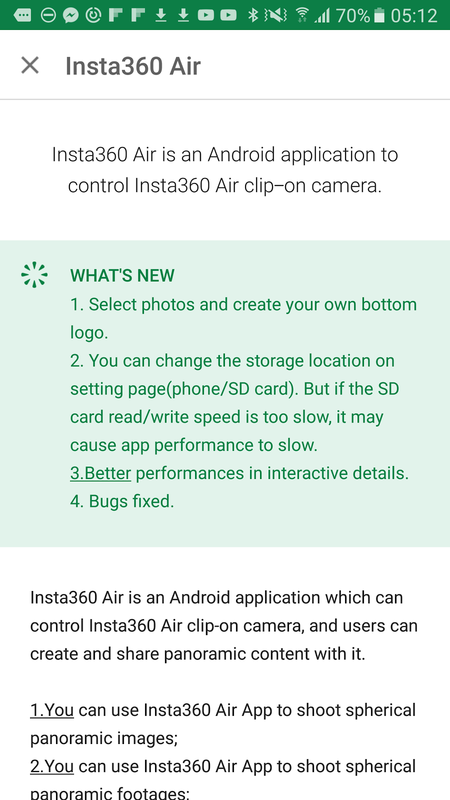 However, Insta360 cautions that the Micro SD card’s read / write speed can impact the performance of the app. If you already downloaded the file to your hard drive, just copy it back to your phone, under the insta360Air/galleryOriginal folder, then launch the Insta360 Air app. You should see the file is now repaired. 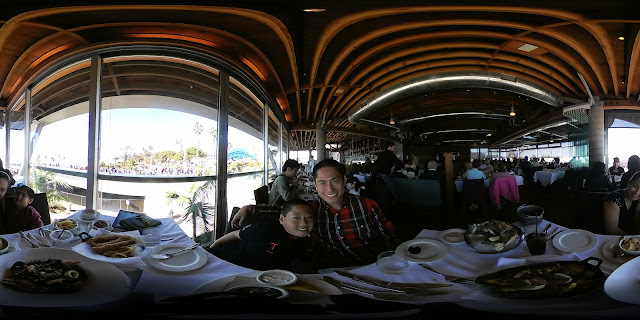 The update makes it easier to update the firmware of the Insta360 Air. 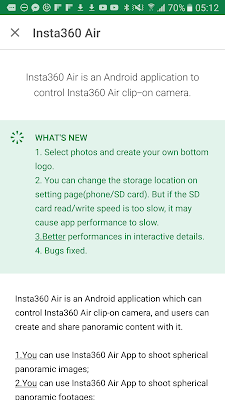 It will now let you know whether there is a firmware update available for your camera without having to push the pin in the “burning hole.” Anyway, I haven’t tried updating the firmware because so far there is no new firmware available yet.